After an exhilarating thrill ride in 2018, Philadelphia's Traditional Heavy Metal torch bearers Corners of Sanctuary (COS) head back into the studio later this month to begin work on their next album. The winter project will hail as the band's sixth, all-original studio album. After the band's international critical acclaim and success of 2018's "The Galloping Hordes," the guys look to make this new record with the same intensity and diversification as its predecessor, focusing on strong arrangements and honing the punch and power of their signature sound and style. "We are definitely looking forward to getting back into the studio," says COS guitarist Mick Michaels. "Hordes was recorded in late 2016 and early 2017...so for us, getting back to recording new material has been a long time coming. We have a lot of stuff written and hope to capture some lightening in a bottle again," he added. "We want to be on top of our game for this next album," says COS bassist James Pera. "It's a matter of doing what we do and not having any distractions," Pera continued. When asked if the next album will follow a similar route as "The Galloping Hordes," the band was in complete agreement with the new album's direction and writing formula. "The writing on Hordes was without a doubt more mature and polished then with previous albums... simply because everyone got involved in the process," said Michaels. "This was the key ingredient that in our opinion, made all the difference. We plan to continue this new tradition and see where it takes us," Michaels added. "There are some working titles being tossed around, but nothing concrete," says COS drummer Mad T. "That's Mick's department...so whatever it winds up being, I'm sure it will be fitting." 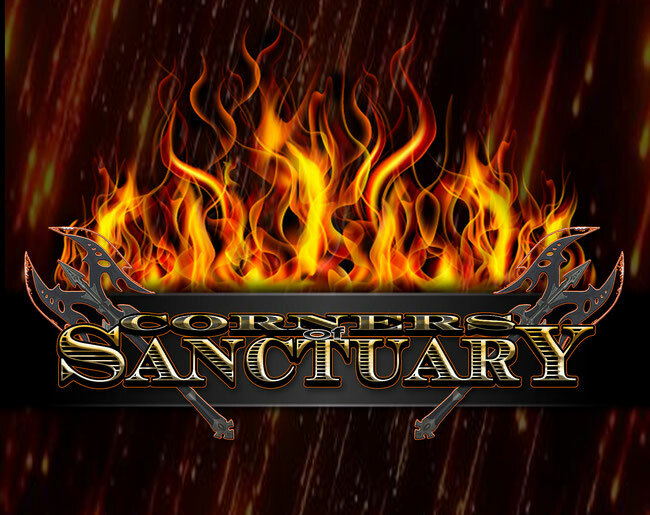 Corners of Sanctuary is also making available a free MP3 download of their new song “Ready for Battle” for fans.